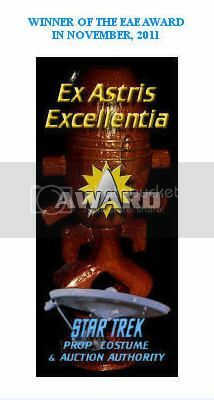 Star Trek Prop, Costume & Auction Authority: Star Trek: DS9 Enlarged Space Station Weapons Pod Pylon Filming Miniature from "The Way of the Warrior"
Star Trek: DS9 Enlarged Space Station Weapons Pod Pylon Filming Miniature from "The Way of the Warrior"
Presented below are some detailed images of a large 39" x 27" Deep Space Nine Space Station Weapons Pod Pylon filming miniature that was featured in the 4th season episode "The Way of the Warrior" (first airdate: Oct. 2, 1995). 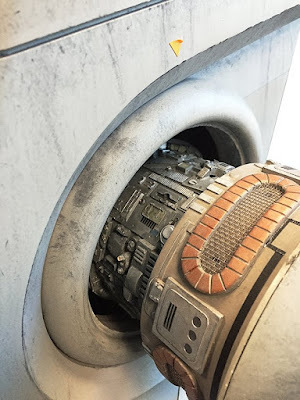 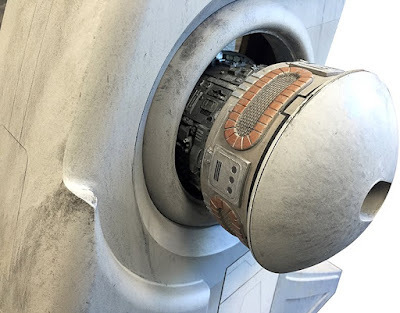 This enlarged exterior space station section was used for close up shots of an extending weapons pod assembly located near the center of the tall pylon. 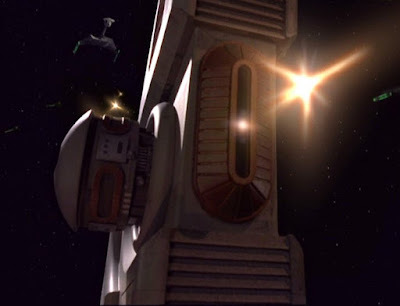 The familiar geometry of this miniature places it in part of the inner circle ring of the Cardassian designed Space Station. 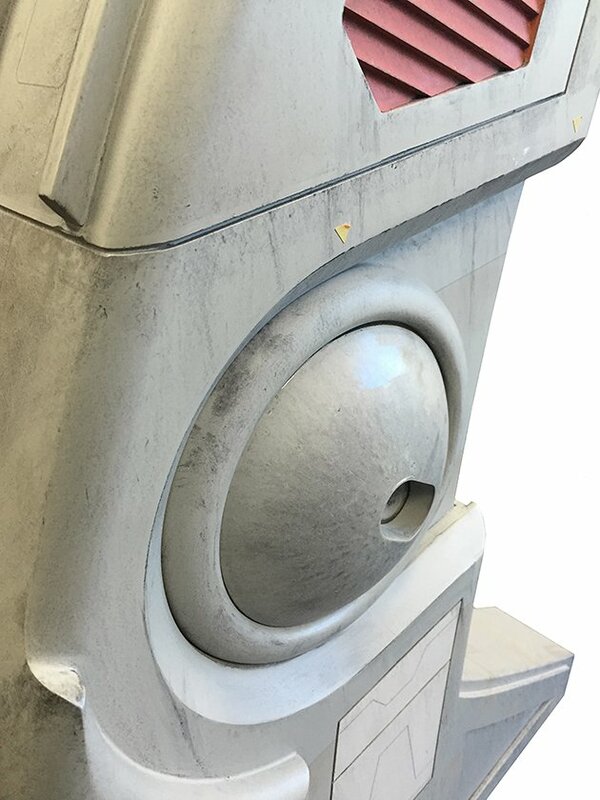 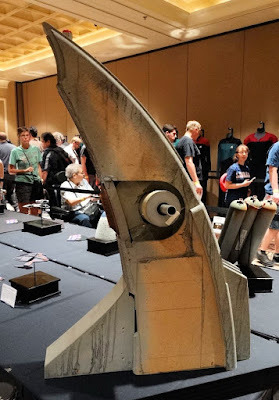 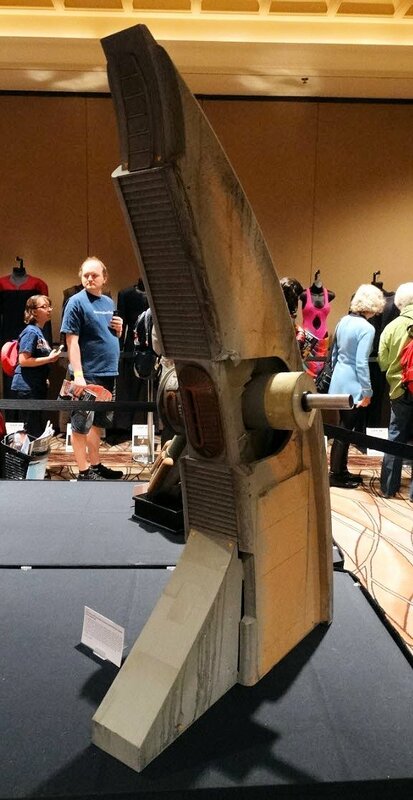 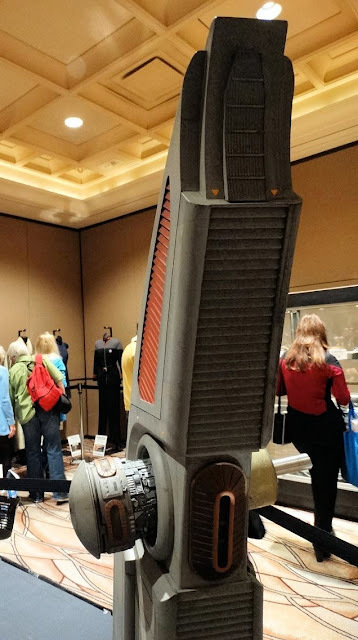 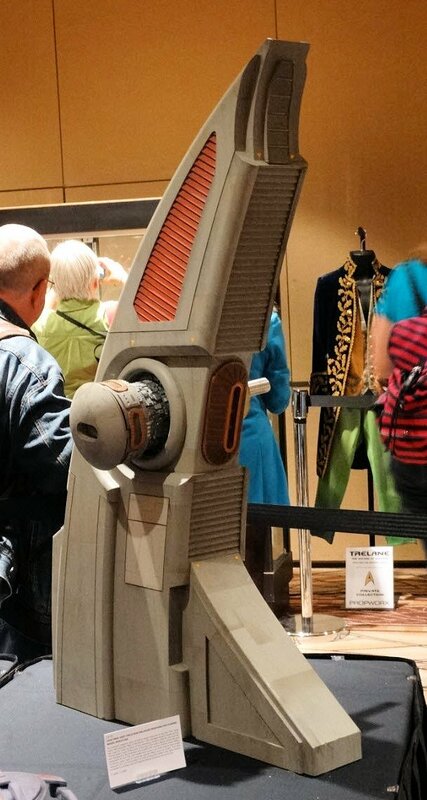 This large model was part of the collection of Star Trek VFX Supervisor Gary Hutzel, and was recently on display in the Tropical Room at the Rio Suites Hotel in Las Vegas, Nevada during the Creation Official 2015 Star Trek Convention; where it was offered as Lot 3 in the Propworx Star Trek Auction VI event that took place live from the floor of the Rio on Sunday, August 9th. It realized an impressive final sales price of $5,310 (including an 18% buyers premium).